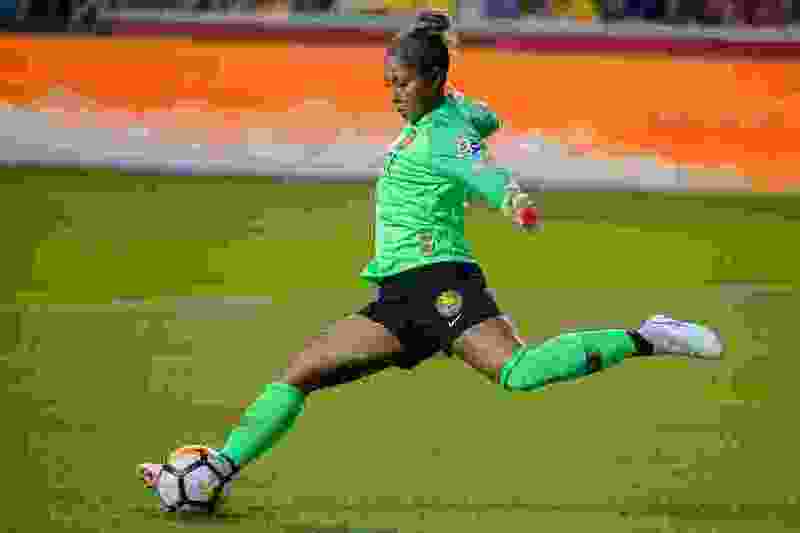 (Trent Nelson | The Salt Lake Tribune) Utah Royals FC goalkeeper Abby Smith (1) as the Utah Royals host Sky Blue FC at Rio Tinto Stadium in Sandy, Saturday June 30, 2018. At the Maryland SoccerPlex, Boyd, Md. About the Spirit • They are goal-less in their last five games. ... They’re out of the playoffs, but this match kicks off a season-ending three-game homestand, so the Spirits hope to finish the season on the high note. ... Tom Torres has taken over as interim coach following the firing of coach and general manager Jim Gabarra. This marks Torres' first match running the team. ... Former BYU Cougar Ashley Hatch is the Spirit’s scoring leader with four goals this season. About the Royals • They are unbeaten in four of their last five games and are pushing for one of the NWSL’s final playoff spots. Utah is chasing Chicago, Portland and Orlando, while looking to hold off Houston. ... Royals goalkeeper Abby Smith is third in the NWSL in clean sheets, posting six shutouts. ... This marks the start of the Royals' final two games of the season. After playing the Spirit, they are off until their Sept. 8 home finale against Chicago.